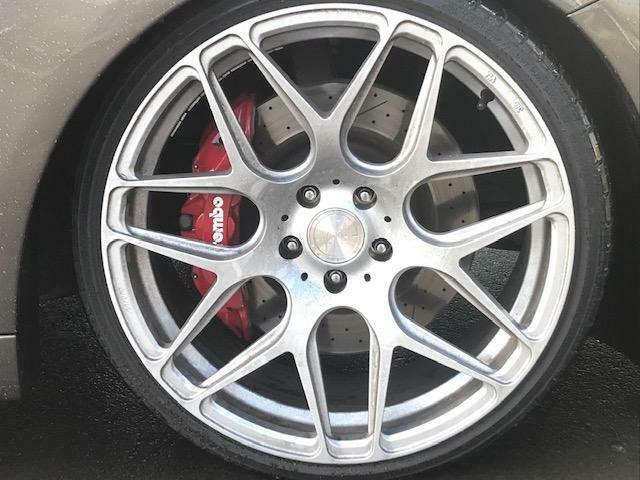 Brembo 6 pots with discs - value? A guy I know has some 6 pot brembos with rotors that he is looking to sell, they’re 9 years old. They’re in good alround order with plenty of meat on the rotors. I asked him how much he wants and he’s asked me to make him an offer. What’s a fair price to pay? Won't fit if running the stock rims. But yeah you will definitely need different rims. The only thing stopping me doing the same. You want the brakes but I’m pretty sure the face of the SF07 is not going to clear because of the design. Can you test fit the wheels on the car with the brakes or test the brakes on your car before you commit. Call koya. They have all the measurements on file and will easily be able to tell you if they'll clear. Nice, heaps of room by the looks of it. Great to have a follow up.